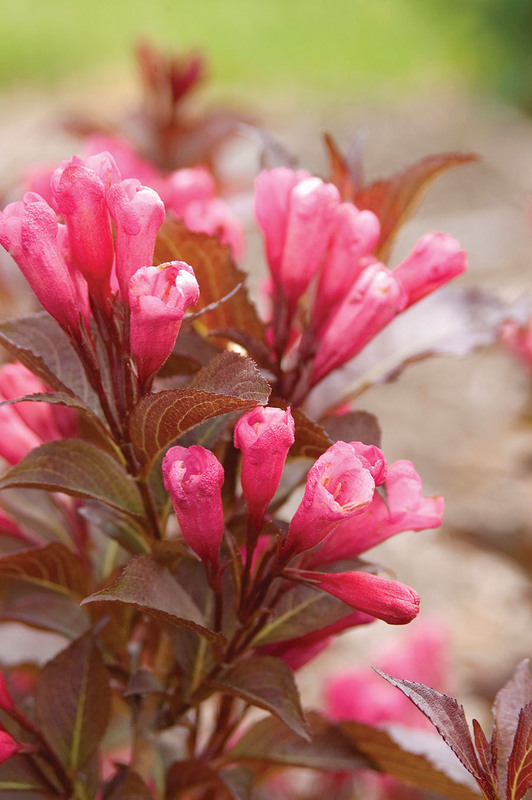 Weigela florida ‘Bokrashine’ | J.C. Bakker & Sons Ltd.
A blooming machine, with pink funnel-shaped flowers that bloom in May and June, and then sporadically bloom through summer. Shiny, burgundy foliage appears as though it has been polished. SKU: 38250302. Categories: First Editions, Shrubs. Tags: Bokrashine, First Editions, Shining Sensation, Weigela.